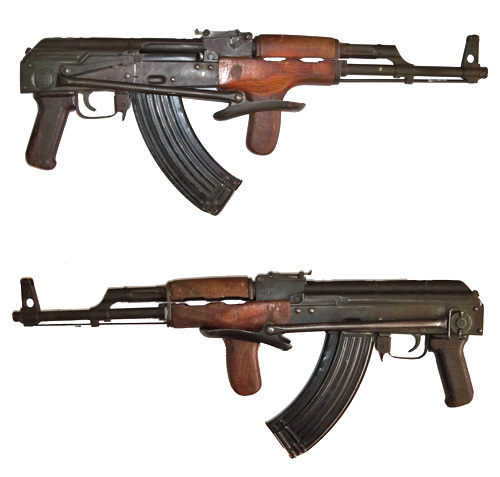 Romanian built Kalashnikov designated the AIMS. This is the paratrooper version with folding stock and rearward curving Romanian style laminated forward pistol grip. Condition is fair but well used. Deactivated to modern spec, it comes complete with detachable magazine and London Proof House Certificate.